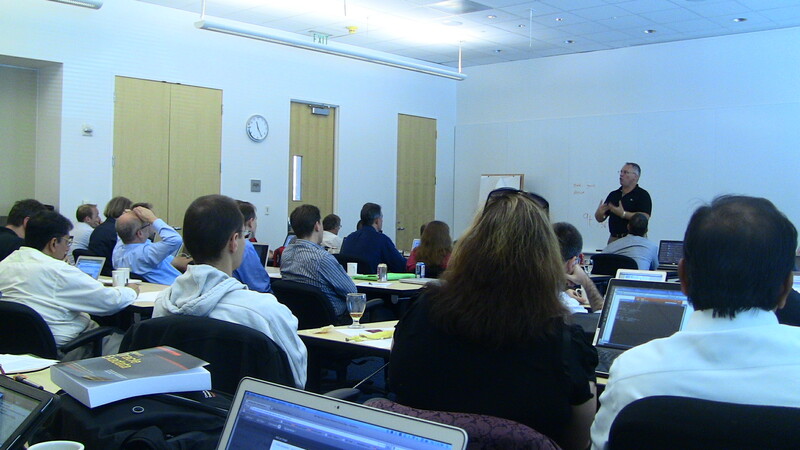 As a tradition, Oracle ACE diretor briefing is held in Oracle HQ in Redwood Shores . This product briefing covers some of the latest development of Oracle Technology that will be announced on coming Oracle OpenWorld. It is very exciting to see this new technology. It is also an Oracle ACE director family reunion. Greate to see all these good friends from all over the world. 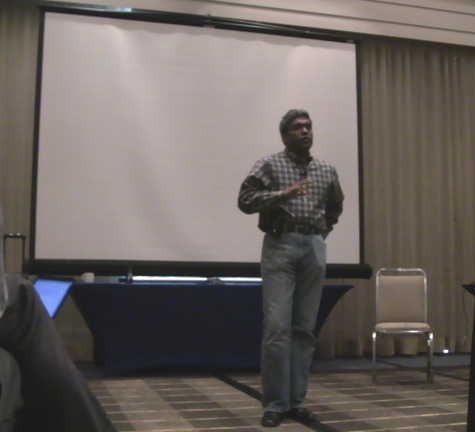 Oracle Executive Vice President Tomas Kurian gave an opening address. Oralce Vice President Database Product Manageemnt Mark Townsend talked about Database products. 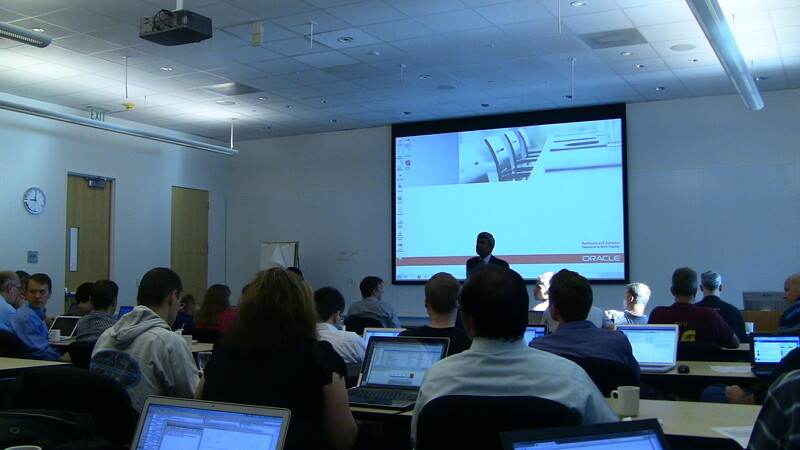 I was invited to attend two days Oracle product Briefing prior to the Oracle OpenWorld 2010 conference with the rest of Oracle ACE Directors at Oracle HQ on Thursday and Friday Sept 16-17, 2010. As a new member of this Oracle ACE Director club, it is a great privilege to have the opportunity to attend such great product strategy presentations. 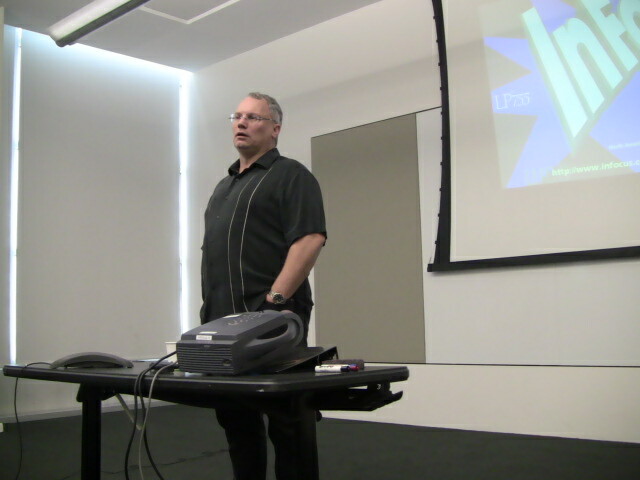 The two days presentations cover the current focus and future direction of Oracle Products. The product Briefing starts with the opening address by Thomas Kurian, Executive Vice President, Product Development, who gave the highlights of important areas such as servers, storage, systems, Database. Middleware, Applications as well as Java development environment. After Thomas’s open address, ACE directors had the opportunity to listen the presentations on the specific areas such as applications server infrastructure, SOA, Jave, Identify management and SOA, and AIA, Java SE, Portal, Webcenter and ECM, APEX, Oracle Database , OS and virtualization, Exadata and BI, etc. Stay tune for more updates on Oracle OpenWorld 2010 conference this week. The RAC SIG is now having elections for a new set of officers. Each year we elect half the officers. Nominations are being done through the end of July, and elections will be run in August. If you are interested, please see the positions descriptions in the RAC SIG Election Page , and then nominate yourself in this link. Oracle Enterprise Manager offers an end-to-end solution for automated provisioning and lifecycle management of the whole system stack, including physical and virtual infrastructure. In this Oracle/Dell Inc. joint session, learn how the Oracle Enterprise Manager 11g provisioning and virtualization management packs can save time and money by automating the provisioning and management of the infrastructure of internal cloud services of IT organizations. It focuses on how to automate some time-consuming and error-prone tasks such as provisioning the Oracle VM environment, provisioning Oracle Real Application Clusters (Oracle RAC) 11g Release 2, converting a single-node database to Oracle RAC, and extending an Oracle RAC database. Abstract: Database-as-a-service is becoming a reality. More and more datacenters are moving to a Self-Service model where users can request databases and get it in minutes. Learn how Enterprise manager’s Provisioning solution can enable such agile database-on-demand. Customers can now deploy tens of databases in a few minutues using self-service methods and without relying on pages of documentation. 3) Session ID: S316263, Title: Monitoring and Diagnosing Oracle RAC Performance with Oracle Enterprise Manager. Abstract: DBAs may use some homegrown scripts based on v$views and gv$views for performance monitoring and diagnosis. Today Oracle Enterprise Manager provides a much more effective way to manage database performance. It not only identifies root causes of performance issues but also gives impact ratios and recommended solutions. This session discusses the performance monitoring and diagnosing features in Oracle Enterprise Manager 11g and presents some tuning examples to show step-by-step methods for monitoring real-time Oracle Real Application Clusters (Oracle RAC) 11g database performance and then diagnosing performance issues by using the Automatic Database Diagnostic Monitor feature and navigating performance pages in Oracle Enterprise Manager 11g. 2) Storage: Dell EqualLogic PS6510 iSCSI array with 10GbE iSCSI as the shared storage for Oracle VM shared storage as well as the shared storage for Oracle 11g R2 RAC.
. ASM diskgroup for Oracle RAC database including data and FRA.